...     "Return random integer in range [a, b], including both end points." ^ Python 3.7.3. Python Software Foundation. [2019-03-25]. ^ Python 2.7.16 Release. Python Software Foundation. [2019-03-04]. ^ Python Releases for Windows. Python Software Foundation. [2019-02-25]. ^ Python Releases for Windows. Python Software Foundation. [2019-03-12]. 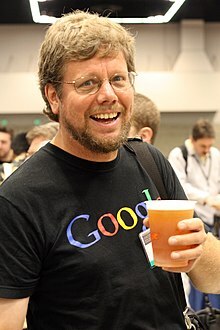 ^ Guido van Rossum. Foreword for "Programming Python" (1st ed.). 1996-05-01 （英语）. ^ Python Language Guide (v1.0). Google Documents List Data API v1.0. Google. [2012-11-30]. （原始内容存档于2010-08-11）. ^ Przemyslaw Piotrowski, Build a Rapid Web Development Environment for Python Server Pages and Oracle, Oracle Technology Network, July 2006. Accessed October 21, 2008. ^ Python Software Foundation. Python 3.0b3 Release. 2008-08-20 [2008-08-30] （英语）. ^ Python Software Foundation. Conversion tool for Python 2.x code: 2to3. [2008-08-30]. （原始内容存档于2012-07-29） （英语）. ^ Python Software Foundation. Should I use Python 2 or Python 3 for my development activity?. 2010-09-14 （英语）. ^ 13.0 13.1 Guido van Rossum. What’s New in Python 3.0. Python Software Foundation. 2009-02-14 [2011-02-22] （英语）. Downey, Allen B. Think Python: How to Think Like a Computer Scientist Version 1.6.6. May 2012. ISBN 978-0-521-72596-5. Lutz, Mark. Learning Python 5th. O'Reilly Media. 2013. ISBN 978-0-596-15806-4. Pilgrim, Mark. Dive Into Python. Apress. 2004. ISBN 978-1-59059-356-1. Pilgrim, Mark. Dive Into Python 3. Apress. 2009 [2018-08-27]. ISBN 978-1-4302-2415-0. （原始内容存档于2011-10-17）. Summerfield, Mark. Programming in Python 3 2nd. Addison-Wesley Professional. 2009. ISBN 978-0-321-68056-3.